This handsome semi-polished stainless steel tankard features double wall construction with an ornate handle and a solid stainless steel bottom. 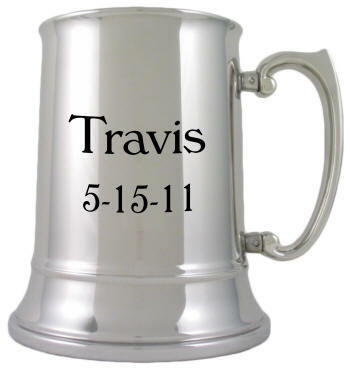 Makes a classic men's gift for many occasions and can be personalized on front and back if desired. Holds 16 oz. 5 1/4 in. tall - 16 oz.